The Magnet Symposium, a yearly recurring event, will take place on Friday, 5th April. The theme of this year is ‘Intrapreneurship: the road to 2050 starts with you’. Intrapreneurship or corporate entrepreneurship is about behaving like an entrepreneur while working within a large organisation. The symposium will therefore have a strong focus on the development and implementation of new initiatives within established organisations. 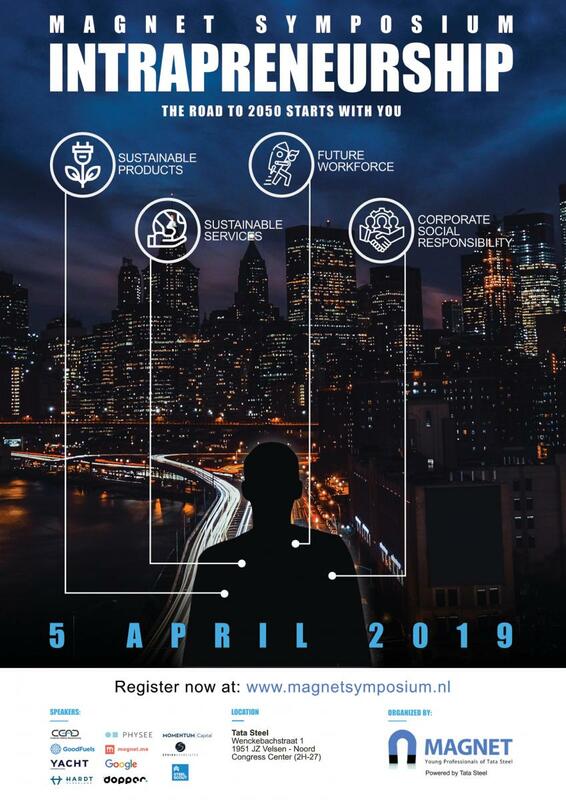 The theme will incorporate four different perspectives: Future Workforce, Sustainable Products, Sustainable Services, and Corporate Social Responsibility. Diverse professionals from the corporate realm will be speaking at the event to share their own experiences with intrapreneurship. There are both plenary sessions and break-out sessions planned. The higher goal is to inspire participants to apply aspects of entrepreneurship in their day-to-day business. Therefore, during the day, participants will be working on coming up with and developing their own initiatives. There will be speakers and coaches present to guide the participants and give them pointers. The 2019 Symposium is open to all Magnet members, as well as, external young professionals. The event will take place at Dudokhuis on the 5th of April, from 10.00 till 17.00, with a network reception afterwards. Participants all need to bring a passport or identification. Information around the location can be found on the website.